Provide comfort for the family of David Brake with a meaningful gesture of sympathy. 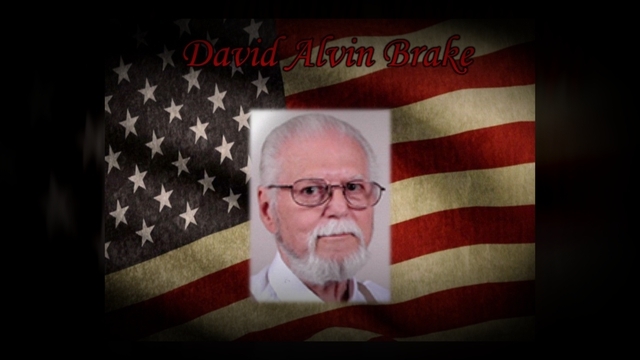 David Alvin Brake, age 74, of Clarksville, passed away on Sunday, November 25, 2018. A Celebration of Life will be held at 10 a.m. Thursday, November 29, 2018 at Middle TN Veteran's Cemetery with full Military Honors. The Brake family will receive friends Wednesday, from 4 to 7 p.m. at McReynolds-Nave & Larson Funeral Home. David entered into this life on March 3, 1944, in Concordia, KS, son of the late David and Marie Marcotte Brake. He was a retired Veteran of the United States Navy. David was also a member of Immaculate Conception Catholic Church and the VFW Post 11160. He enjoyed raising birds, jewelry making, coins, and the N.R.A. He was most proud of traveling on the Screaming Eagle Honor Flight in October of 2017. In addition to his parents, he is preceded in death by his son, Matthew K. Brake, and sister, Carol Waggoner. Survivors include his wife, Emma Lee Varda Brake; daughters, Ruth (Douglas) Brake Edlund, and Davida D. Brake; brothers, Danny (Ginny) Brake, and Eugene Brake; sisters, Joyce (Fred) Biery, and Elaine Wiley; grandchildren, Christina Edlund, and Dominic Cucuzza. In lieu of flowers, memorial contributions may be made to Screaming Eagle Honor Flight, P.O. Box 20075, Clarksville, TN 37042. To send flowers in memory of David Brake, please visit our Heartfelt Sympathies Store.